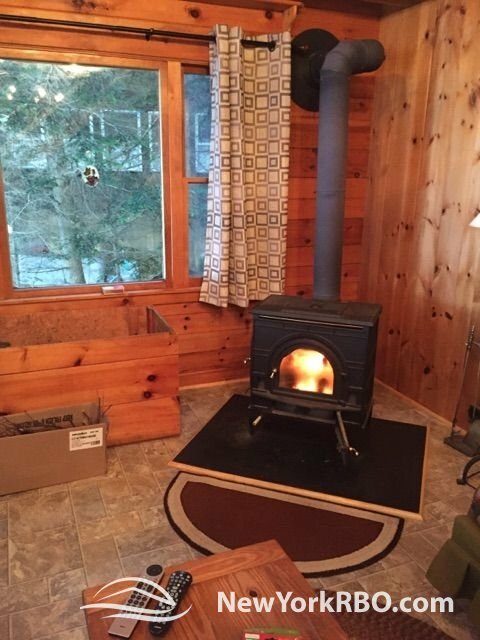 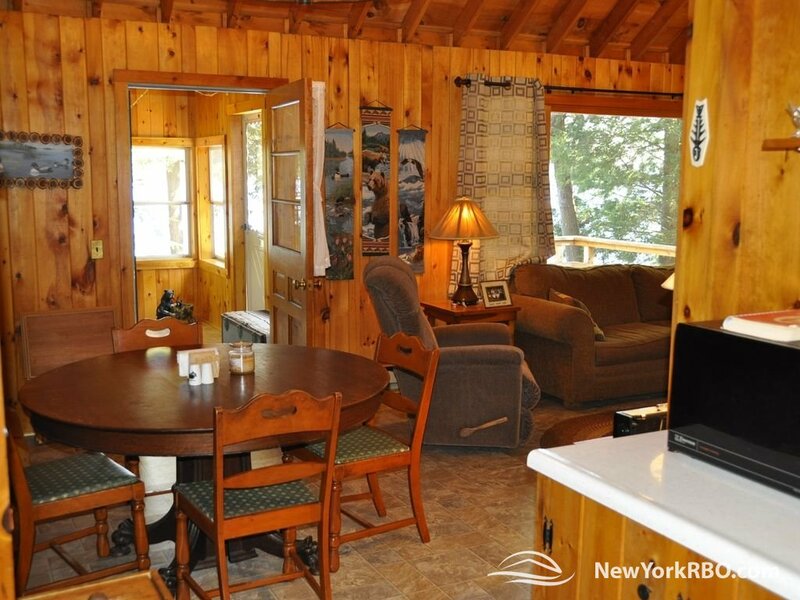 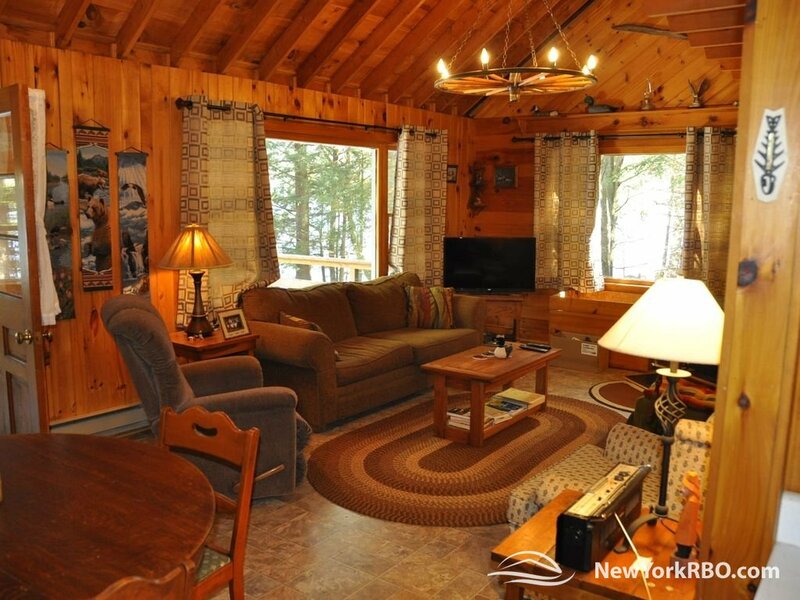 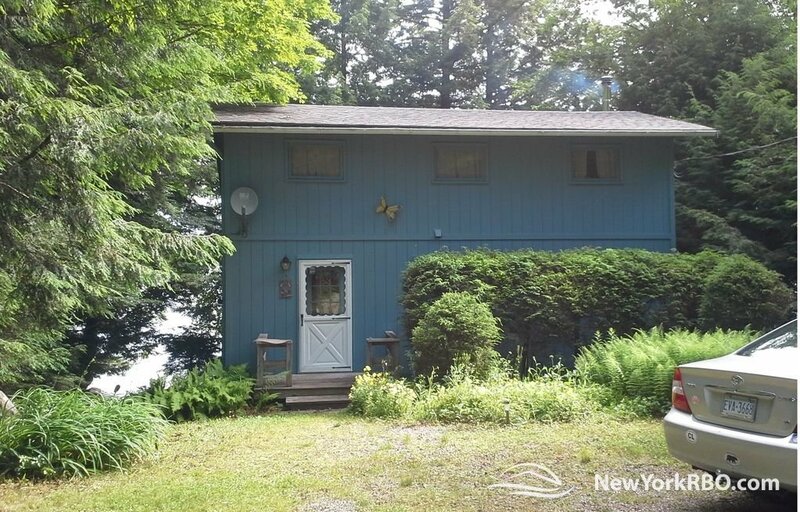 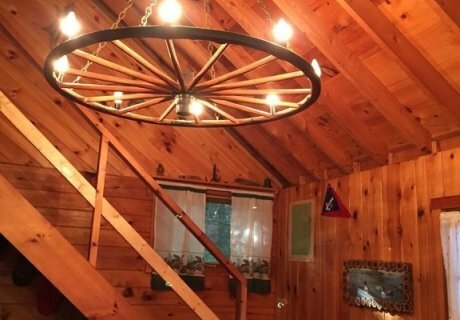 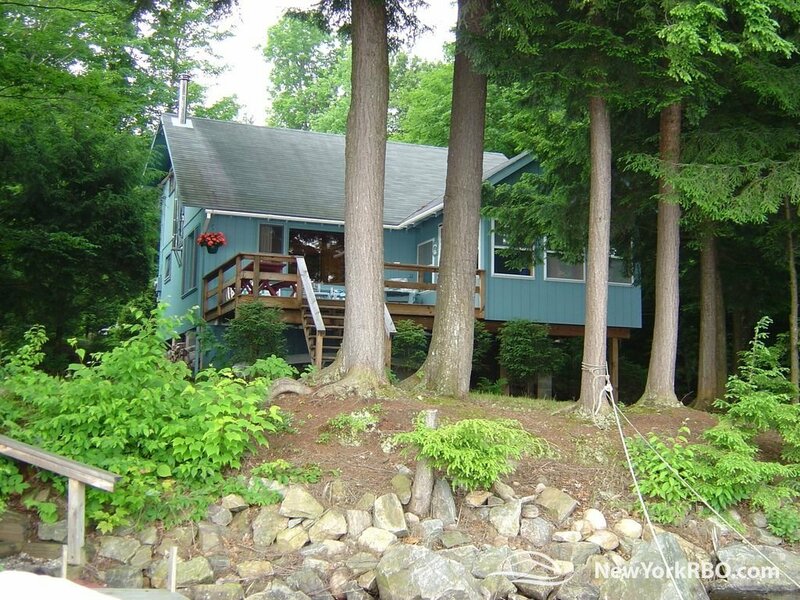 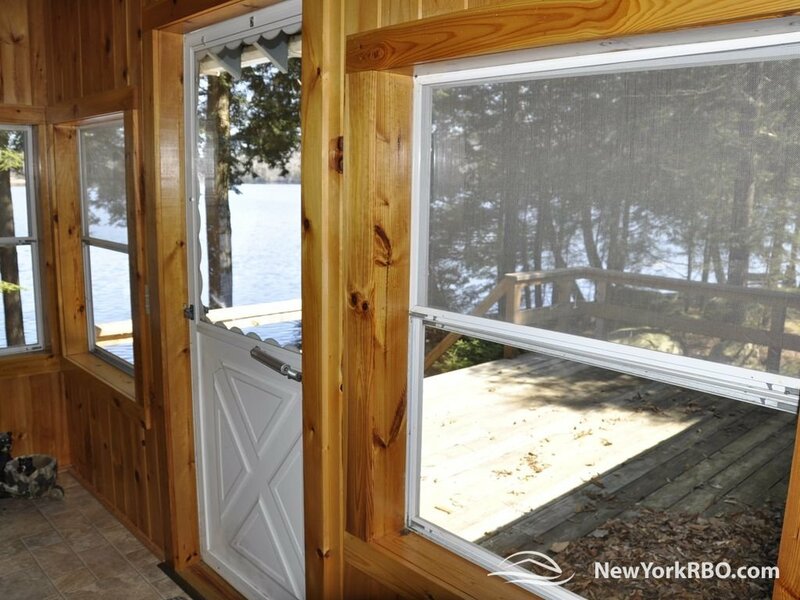 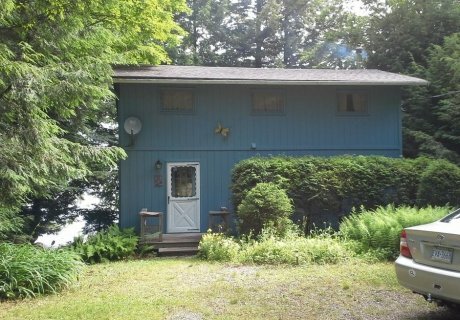 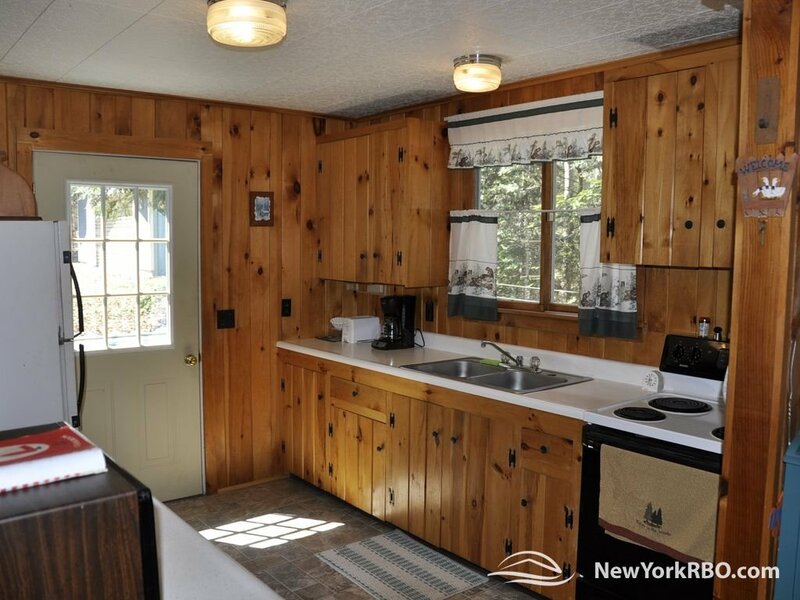 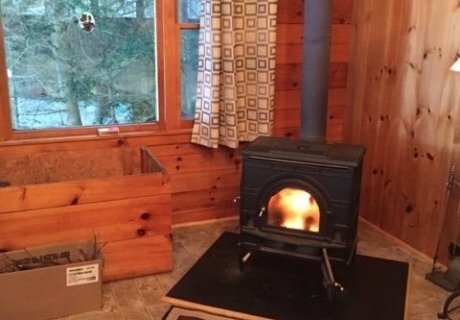 Nestled in the trees, this charming, 4-bedroom Cranberry Lake vacation cottage features a peaceful, private setting, a 100’ waterfront and dock, and stunning views of the forever-wild shoreline of beautiful Cranberry Lake, the third largest in the Adirondack Park. 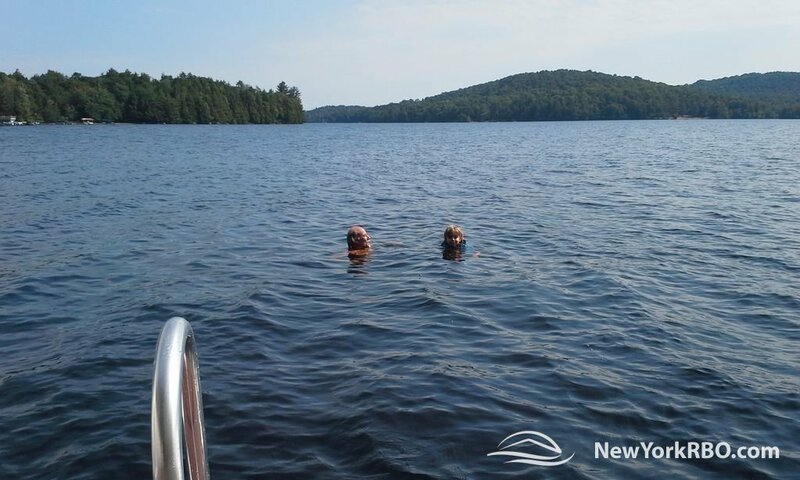 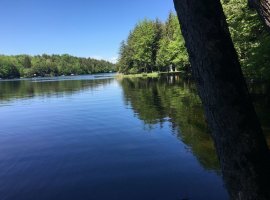 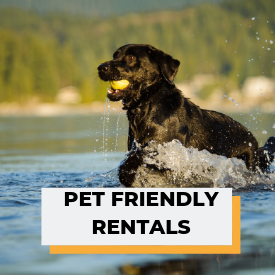 Swimming is great in the crystal clear water and there is a sandy access point we use for wading and to launch the canoe and kayaks which are yours to enjoy the many bays and coves in the area, or to fish for “Walter”, who lives nearby. 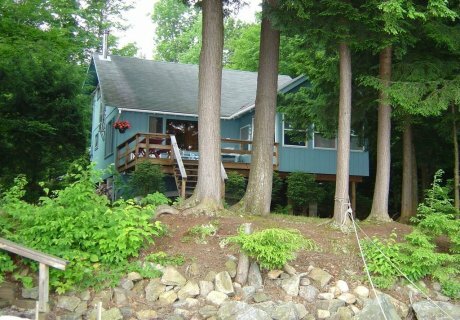 The fishing is excellent in this stocked lake and there is a certified bait shop not far away for the serious anglers in your party. 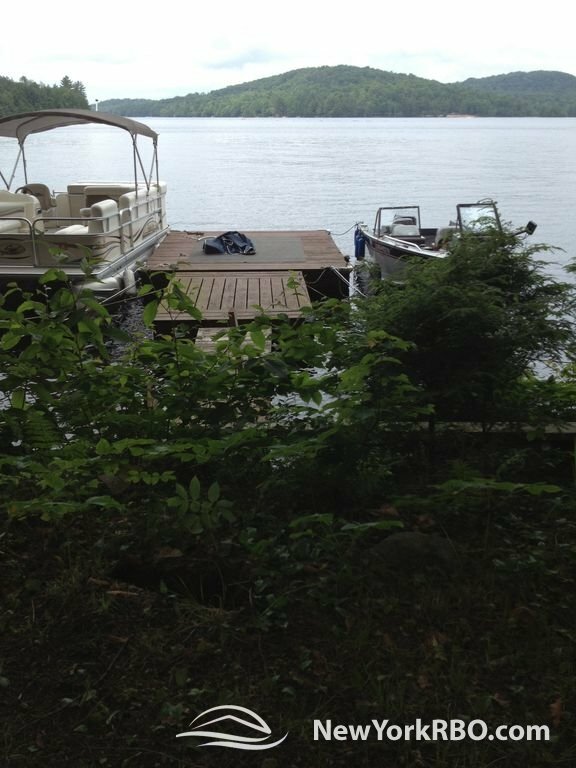 The dock will accommodate up to two boats, if you want to bring yours along. 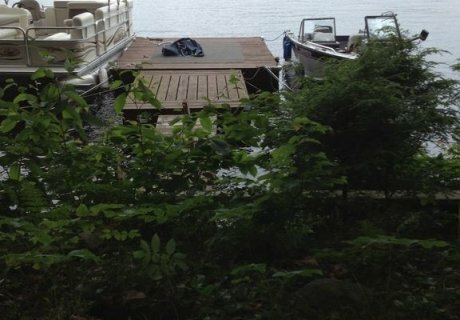 You can also rent boats at a marina in town. 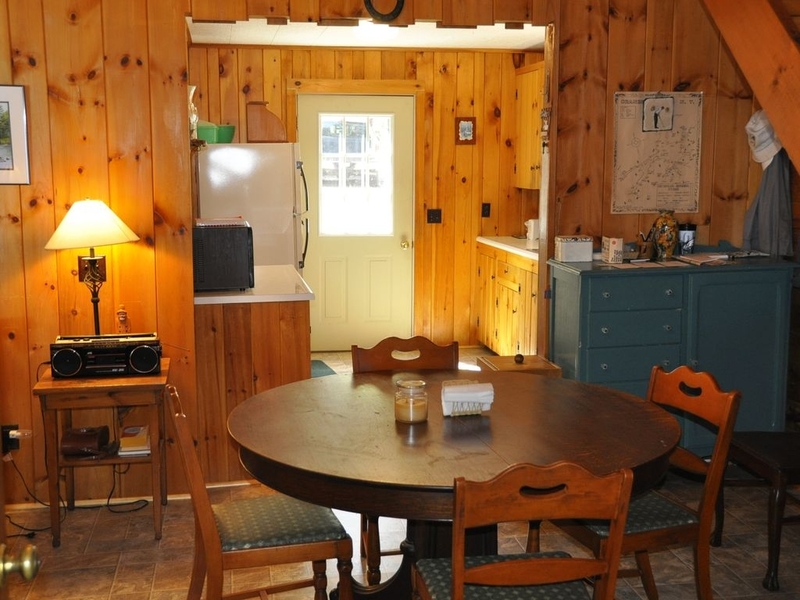 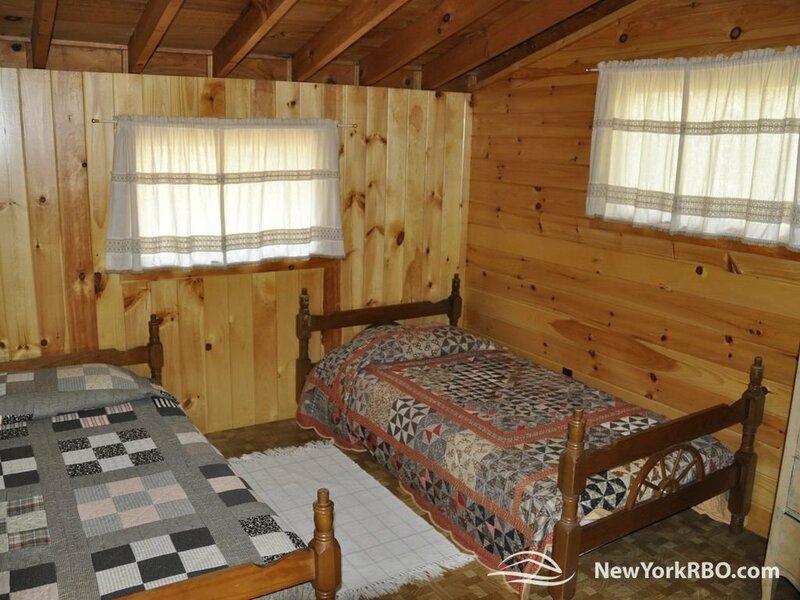 When it’s time to come in, the cottage is warm and inviting, flush with Adirondack charm. 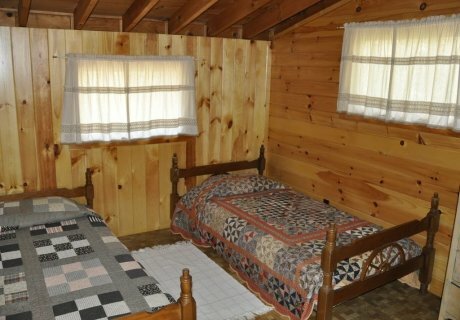 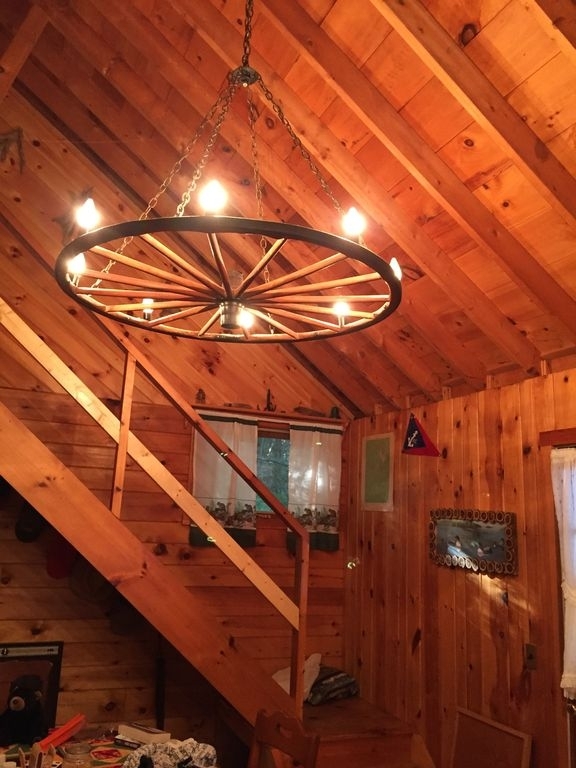 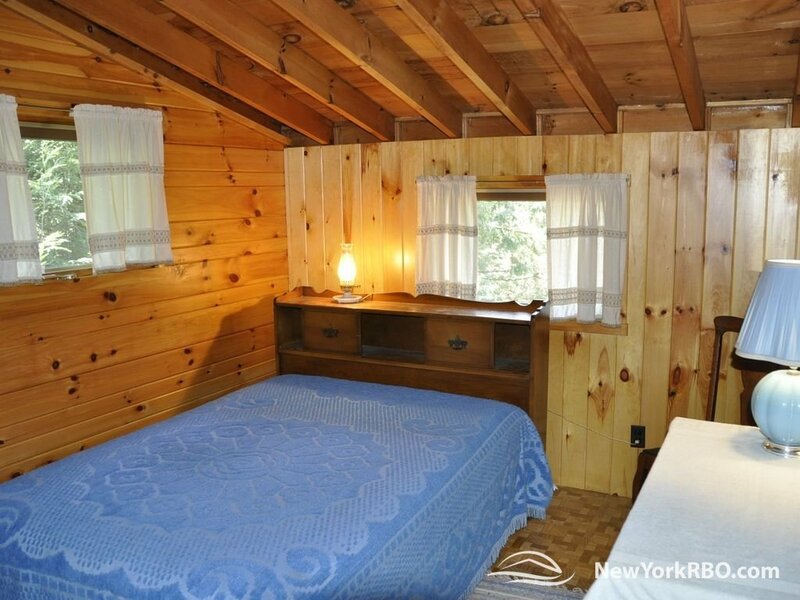 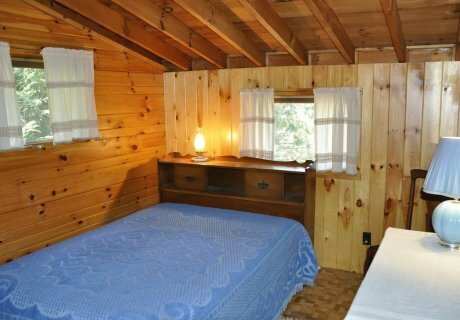 The walls are all covered with beautiful, honey-colored knotty pine, and the ceilings all exposed beams. 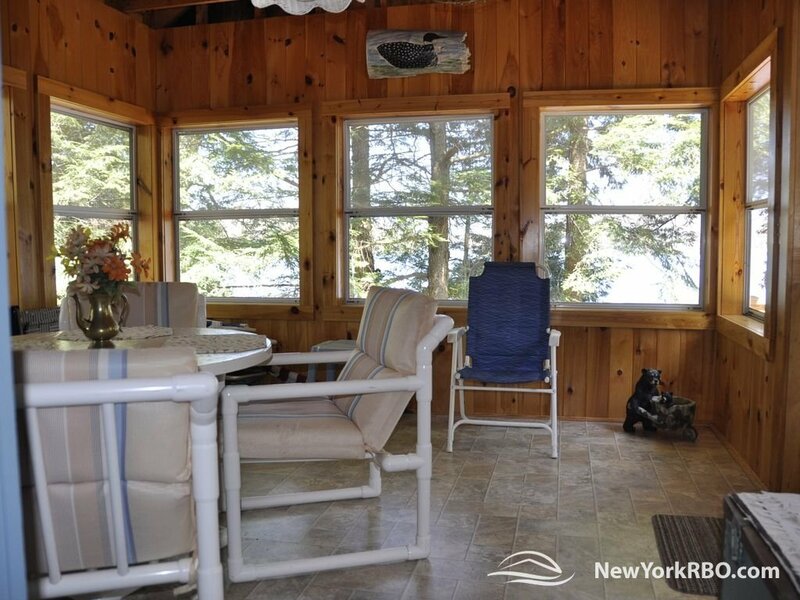 The Great Room, with incredible views of the lake, has a comfortable living area centered around a glass-fronted wood stove and a dining area that seats 6+. 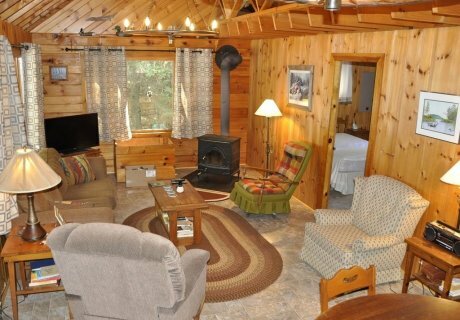 This is the perfect place to play games, watch TV, tell stories, stare into the fire, or catch up on your reading. 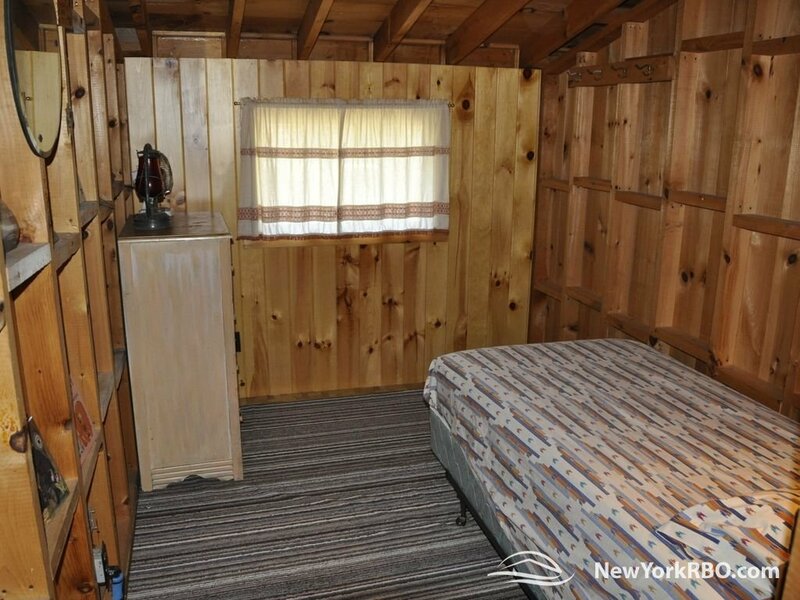 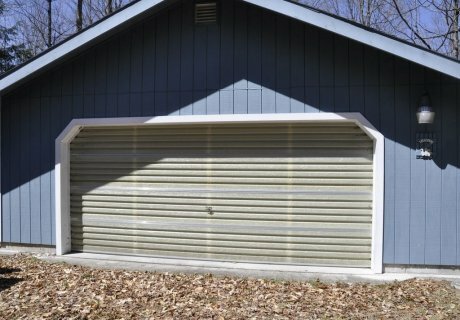 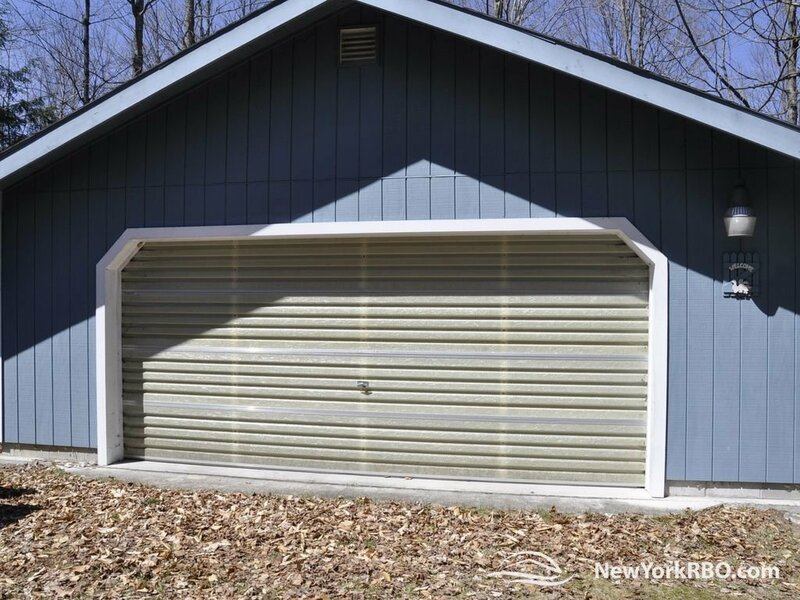 Other than an occasional roar from a ping-pong game in the garage, you’ll be able to relax and enjoy the peace and quiet of this tranquil setting. 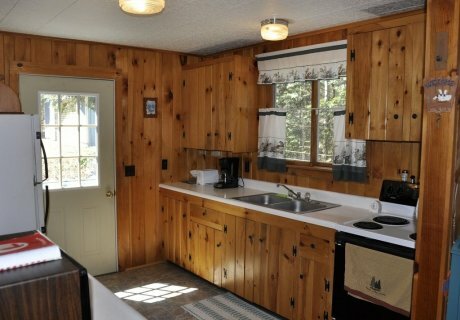 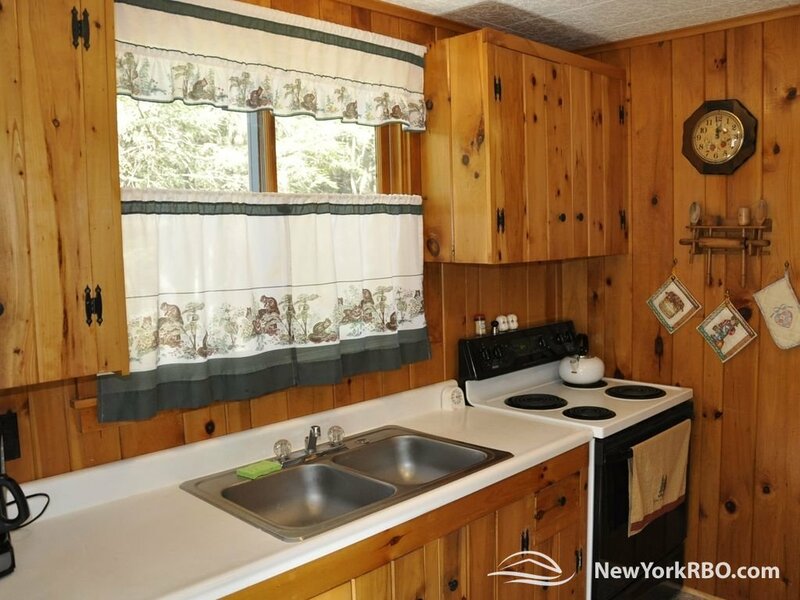 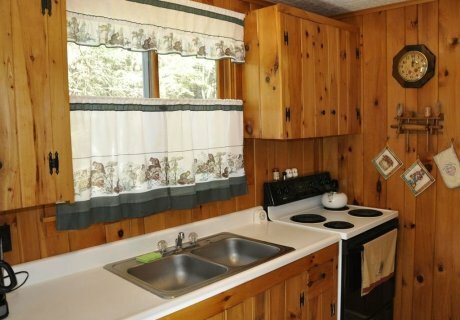 The kitchen, also done in knotty pine, is fully appointed and efficient. 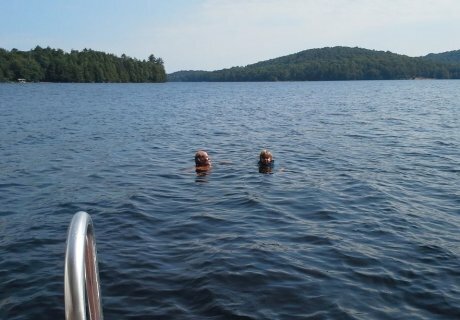 There is just something about being around water all day that builds appetites and makes the food taste even better. 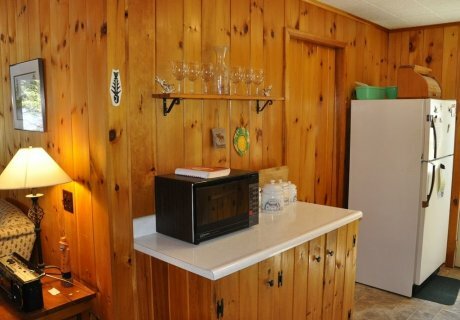 We like to say, “You just can’t get a bad meal at the lake!”. 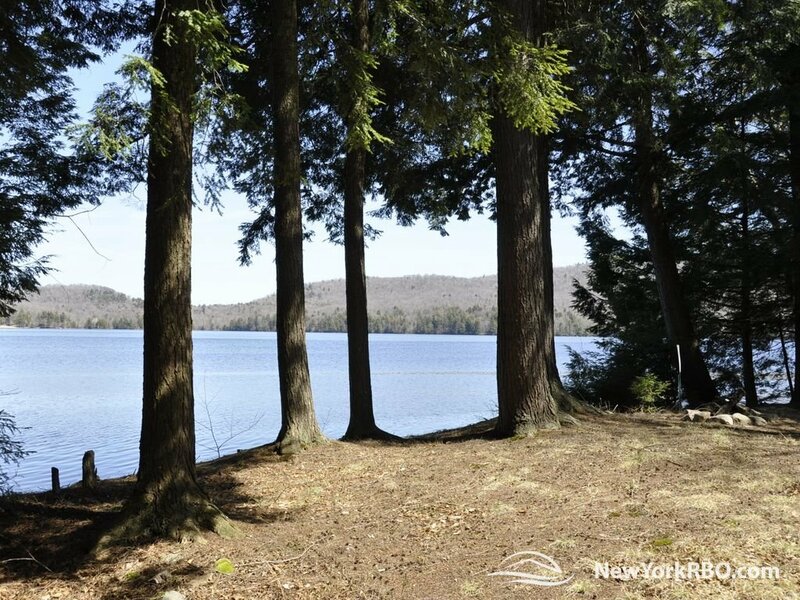 There is something special too about having your morning coffee on the deck overlooking the lake while the sun rises to its glory over Bear Mountain. 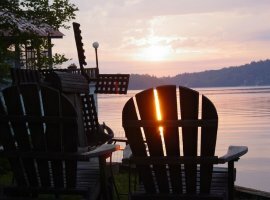 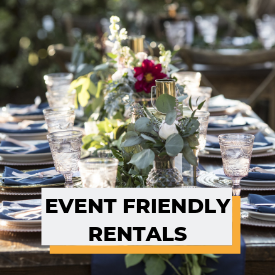 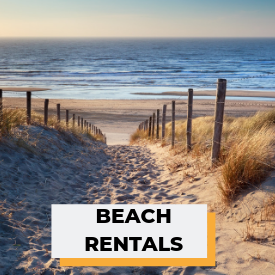 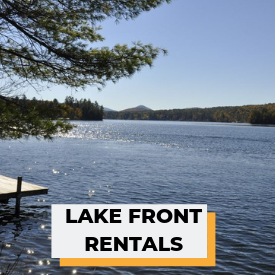 If you choose to soak in the beauty of the lake, but remain indoors, we have a glassed and screened-in porch with a table for meals and comfortable furniture. 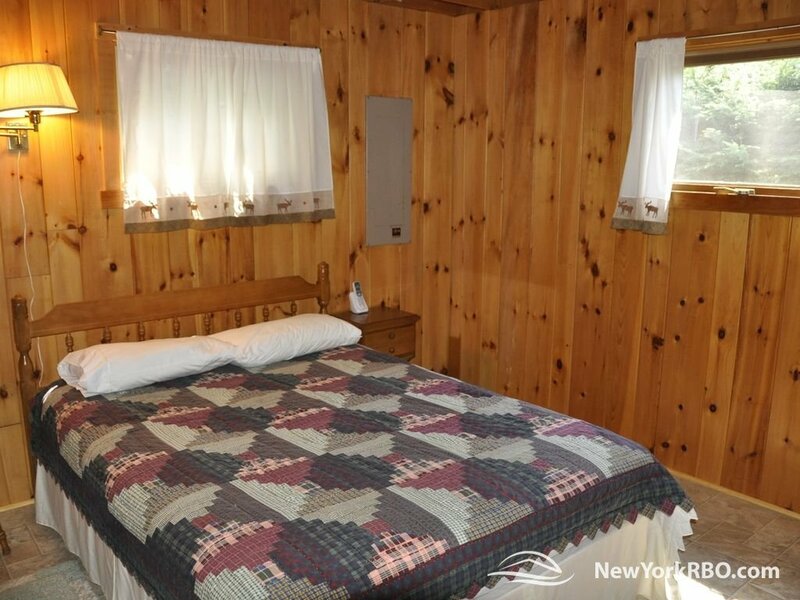 Rain or shine, you'll enjoy this room. 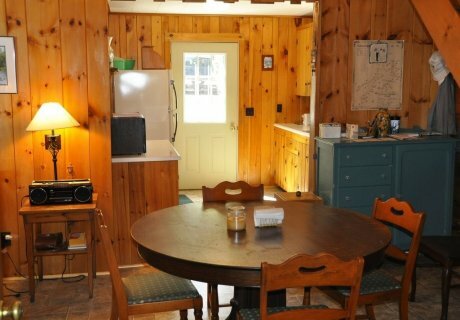  When it’s time to turn in, we have 4 bedrooms: the master on the first floor and 3 on the second floor, accommodating 8. 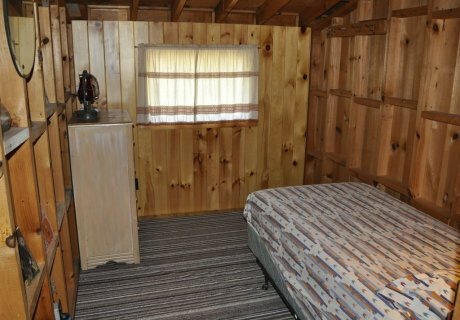 There are two full baths; one on the first floor, and one, somewhat rustic or primitive, in the garage. 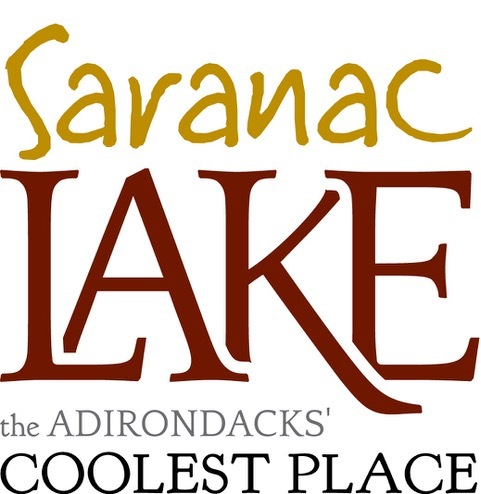 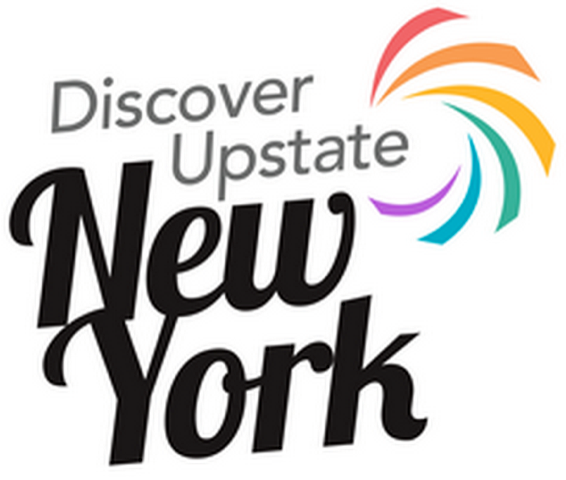 You’ll never be at a loss for something to do in the area, as this part of the Adirondack Park offers some of the best hiking and waterfall trails anywhere, mountain climbing, including the High Peaks, the Adirondack Museum and the Wild Center, quaint restaurants and shops, and all less than an hour away, with most under a half hour. 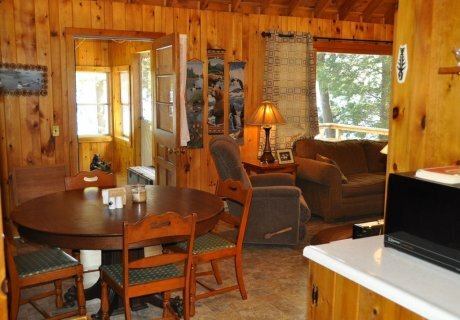 If you are looking for an ideal location for a fun-filled vacation with family and friends, this is it. 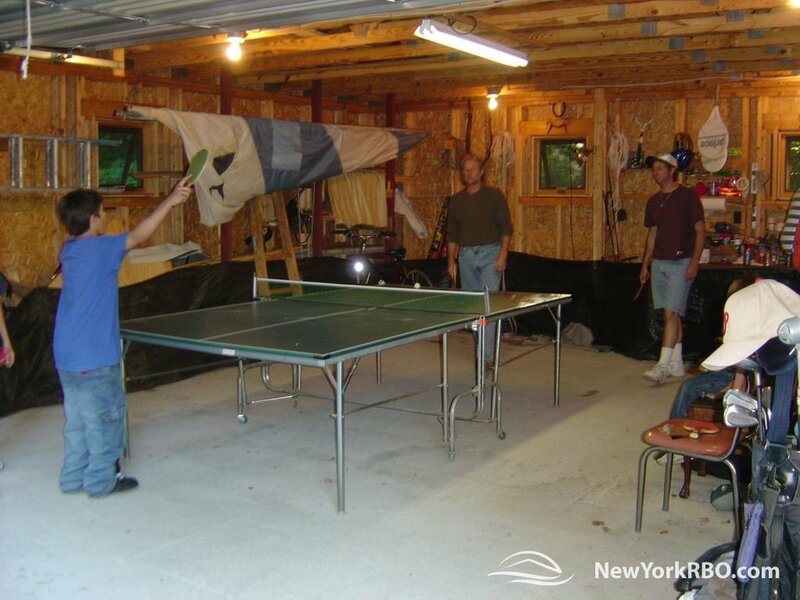 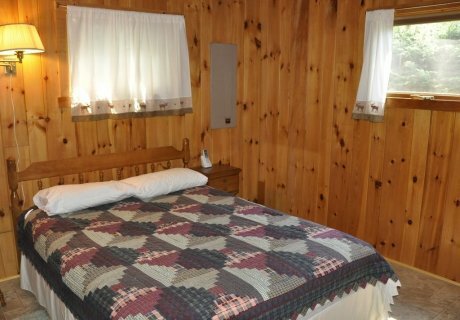 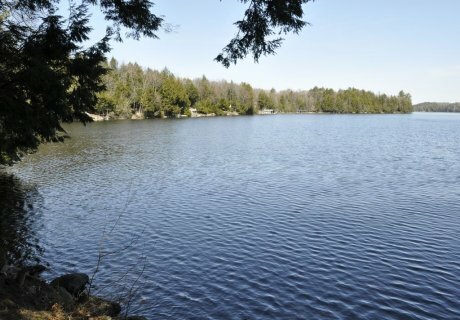 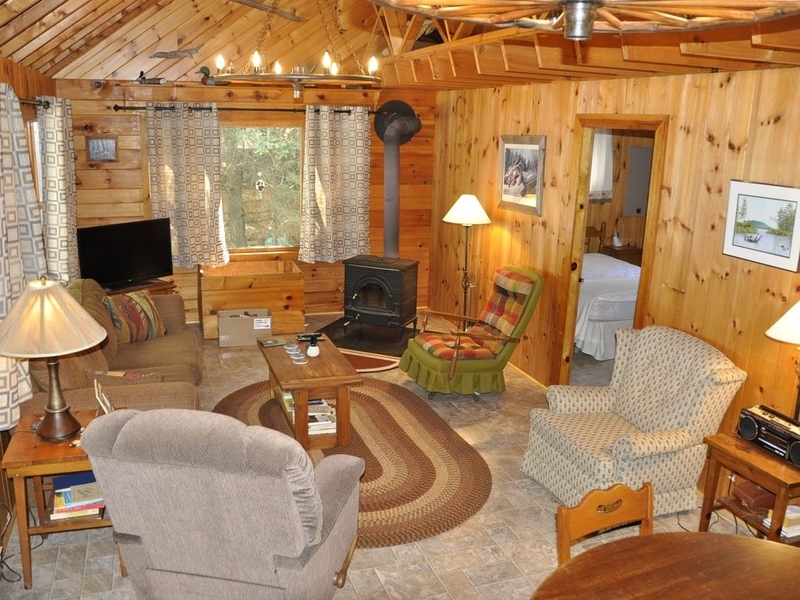 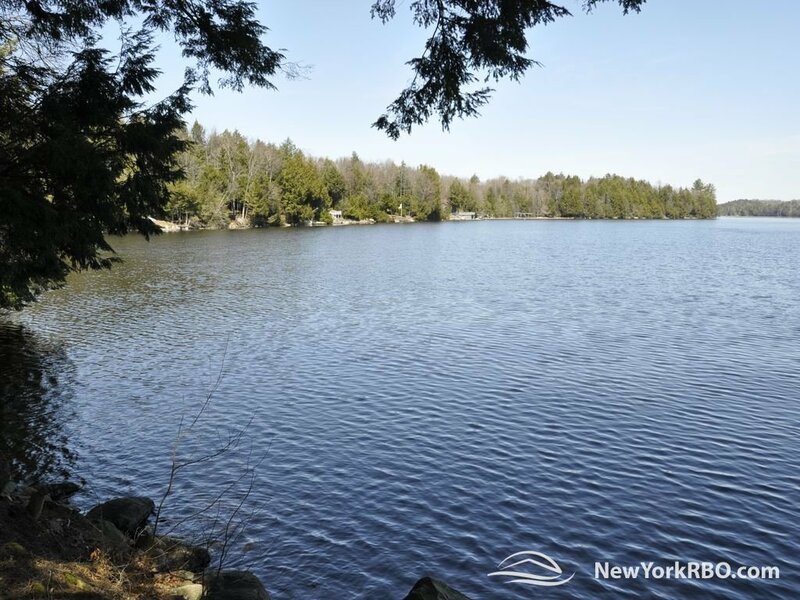 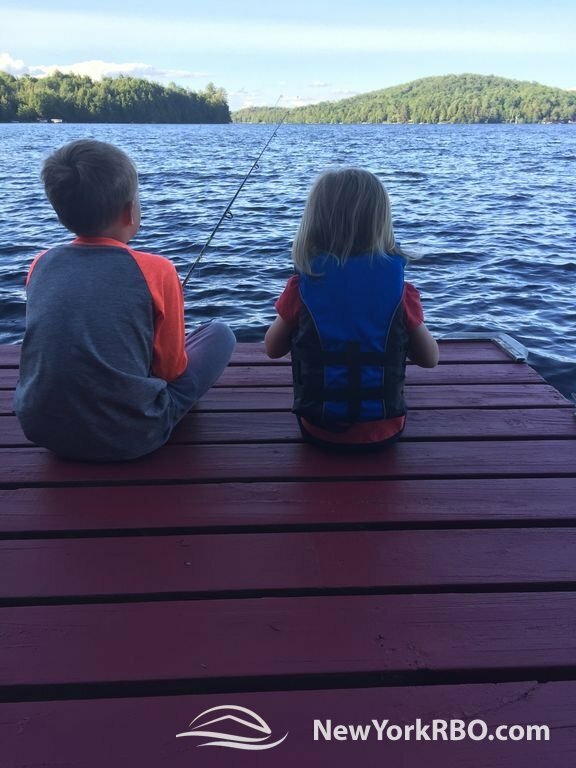 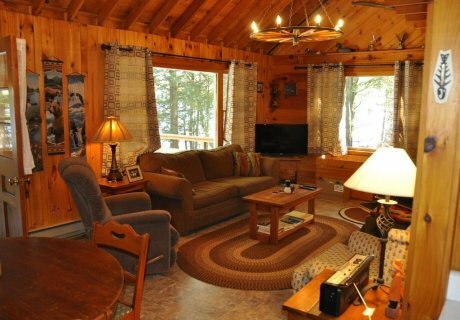 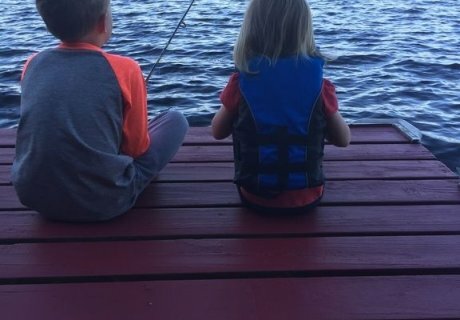 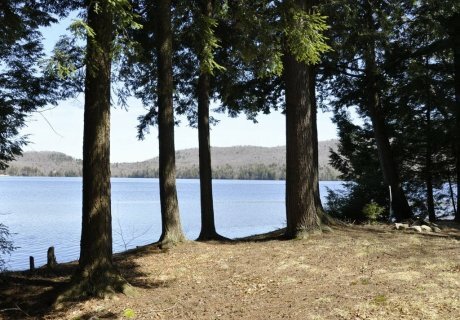 Come join us at Cranberry Lake, where you’ll create memories that will last a lifetime!